We have online registration for an event. The registration allows the main attendee to register additional participants. The main person and the additional participants have different registration options. 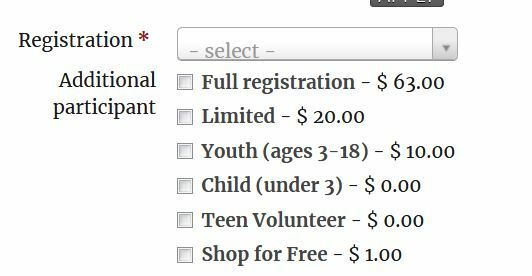 I don't want to display the additional participant registration fees/info on the main registration form. I only want to display that on the 'Additional Participant' page. On the additional participant page, which is only displayed if the main participant indicates on the main page that they want to register more than 1 person, I only want to display the additional participant fees. How do I just display the Registration pulldown on the main page for the first attendee and just display the additional participant information on the additional participant page? Right now both blocks are displayed on both pages. I'm using Wordpress 4.9.9 and Civi 5.4.1. It's not the easiest to work with, but you could do this with the Profile Conditionals extension.